A 60-year-old man died in County Jail last week after spending nine months behind bars for allegedly stealing cash from Radio Shack. He had prior offenses, according to the District Attorney’s Office, and and his bail was set at $70,000. Henry Acuna of Santa Barbara had suffered from “chronic medical issues” and was under observation by jail medical staff, said Sheriff’s spokesperson Kelly Hoover. He was found unresponsive in his single cell on March 2 at about 7 a.m. He was transported to Cottage Hospital and died early the next morning. “The jail is not equipped to provide the treatment with someone of those kinds of needs,” charged Aaron Fischer, an attorney with Disability Rights California, which filed a lawsuit against the County Jail last December. Fischer called Acuna “a pretty poignant example of what can happen” when chronically ill people suffer in rundown county jails. Santa Barbara’s Main Jail infrastructural pitfalls have been well established by criminal justice reform activists and publicly acknowledged by Sheriff Bill Brown. 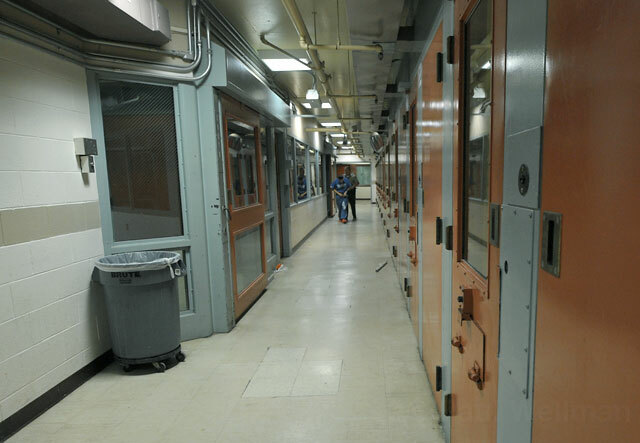 California Disability Rights has called for increased staffing levels and treatment space in jails, among other things. The group has specifically pushed back against solitary confinement practices, which Fischer called a “major problem in Santa Barbara.” A hearing in that civil case is scheduled for Tuesday, Fischer said, adding that the Sheriff’s Office appears poised to work with the advocacy firm. The specifics of Acuna’s medical condition have not been released. Hoover declined to discuss the case in detail, citing patient privacy laws. The death is under investigation by the Sheriff’s Criminal Investigations Division. The Santa Barbara Independent has submitted public records requests for the surveillance footage of Acuna’s cell for the 10 hours before he was found unresponsive. Acuna is the first person to die in County Jail since December 2016. Last spring, the jail replaced its medical provider. The Sheriff’s Office contracted with California Forensics Medical Group (CFMG) after the previous firm, mega-provider Corizon Health, Inc., received widespread criticism here and throughout the nation. CFMG is the state’s biggest inmate medical provider, and the company has received criticism in Santa Cruz County, among other places. When the Sheriff’s Office switched companies, most of the Corizon medical staffers were retained by CFMG. In the past seven years, 12 inmates have died in jail, Hoover said. According to prosecutor Megan Chanda, Acuna was awaiting trial for robbery and attempted robbery charges. On one occasion he was charged with stealing money from Radio Shack and on another other with trying to, she wrote in an email. Acuna had four prior offenses, including a felony conviction for which he spent time in prison. The case had not been set for trial. He was represented by deputy public defenders Mark Saatjian and Jess McHarrie.